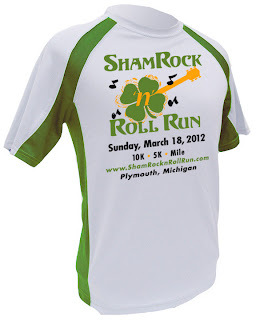 DETROIT RUNNER....: Shamrock N Roll Run - 19 days and filling quickly! 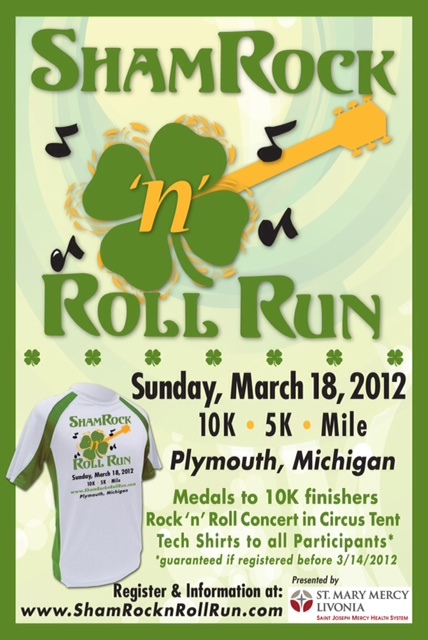 Shamrock N Roll Run - 19 days and filling quickly! As March nears, it's time to start the racing season! Yes, even in Michigan! 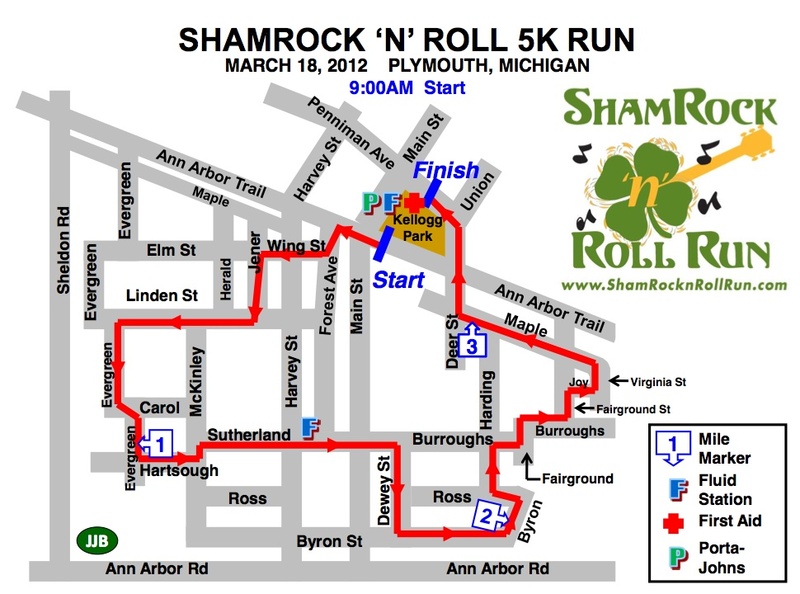 One of the first races of the year is the ShamRock N Roll Run in Downtown Plymouth Michigan on March 18th. I will be there and I want you to join me! Who wouldn't want to race in a downtown like this? 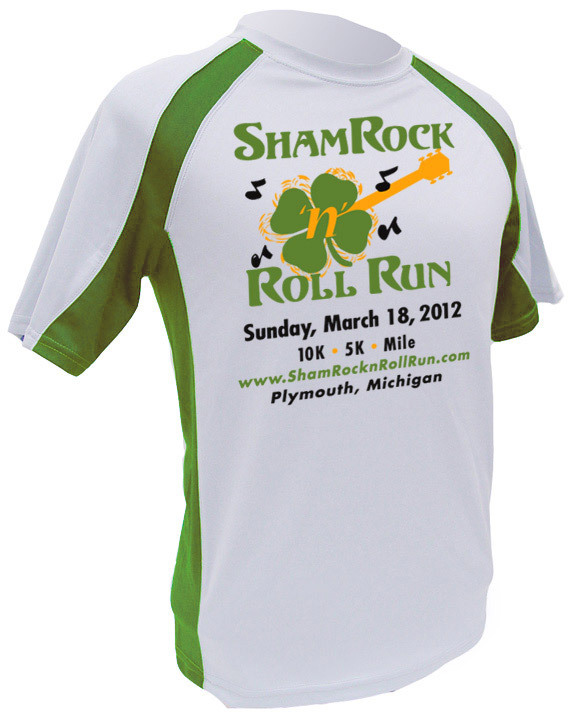 You will also get one of these, an awesome Tech shirt....and who doesn't want one of these to run in all summer long? 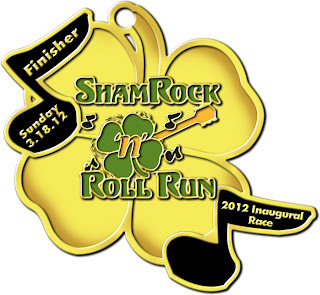 I'm planning on that four leaf clover giving me a little luck this season for racing. 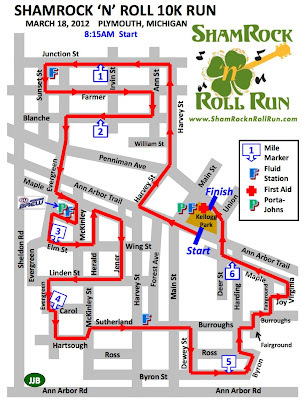 Expect to have lots of company - they are expecting over 3,100 participants for this inaugural race. Now I know many of you worry about inaugural races but Kona Running Company has years of experience and it will surely be a well organized race. 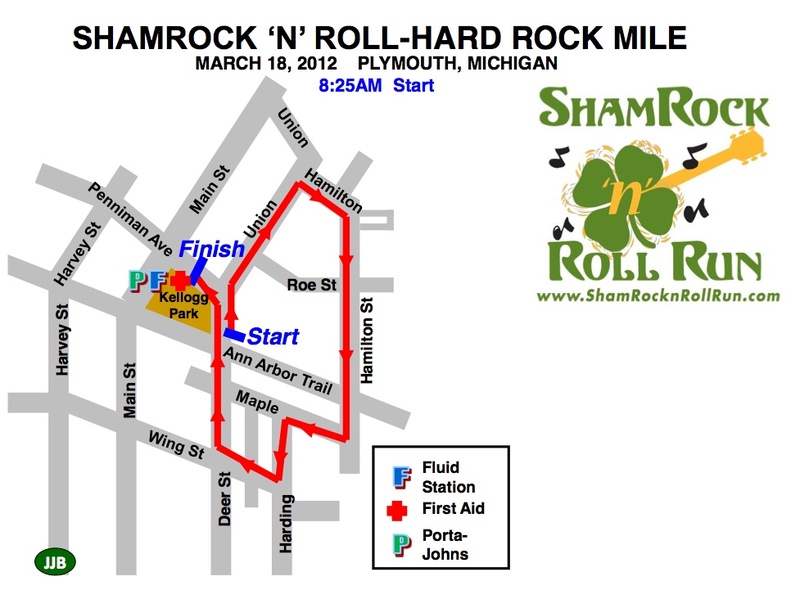 The City of Plymouth has committed to plow and salt the streets should by chance we have a snow or ice storm that weekend so this race will NOT be cancelled! 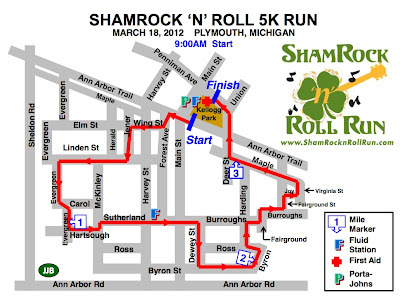 A big plus knowing you will be racing that day, regardless of weather, and it will be safe running. Now that is what I call a committed City and race director! 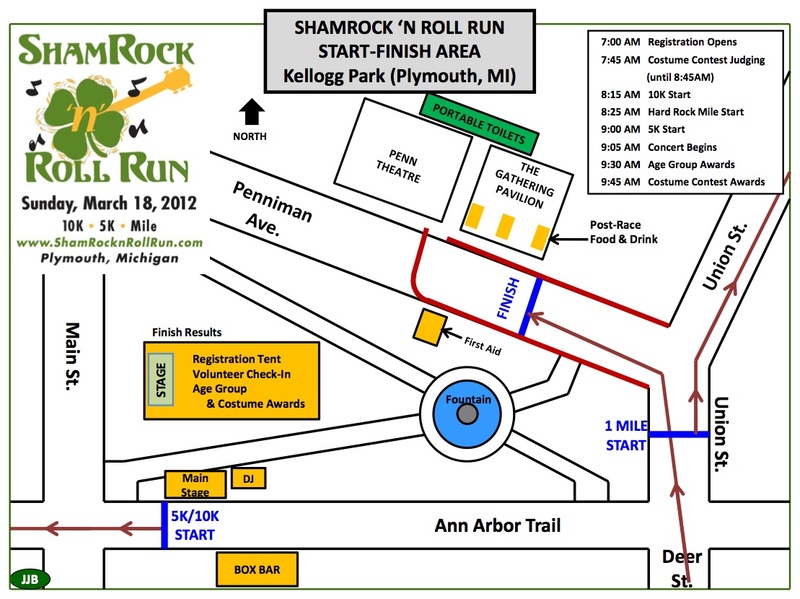 The Circus tent in Kellogg Park(at the start and finish area) will have new registration and packet pick up, volunteer check-in plus the age group awards and the rock n roll concert by The Remix Band which begins at 9:05am! This means if it's cold, at least you won't be. Want a preview of the band? 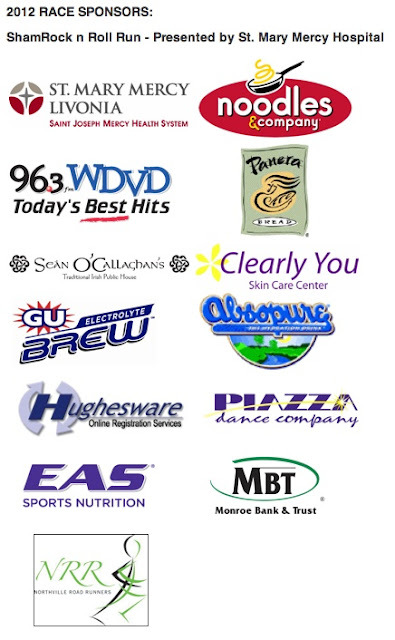 - Click HERE to hear some samples of their songs! Great band! Here's the courses as well. 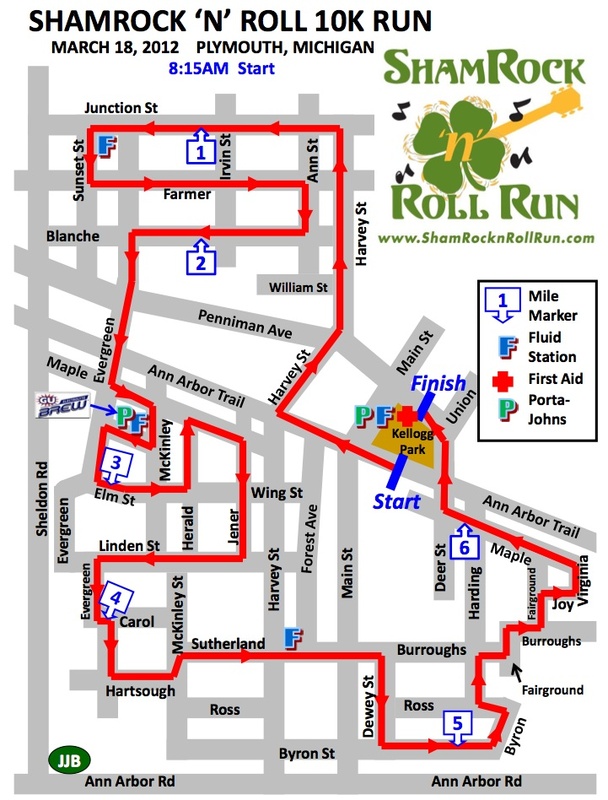 This is a great downtown run! Also, these are the awesome sponsors that are helping with this race. Of course, it could not be done without them so their support is really important as with any race. 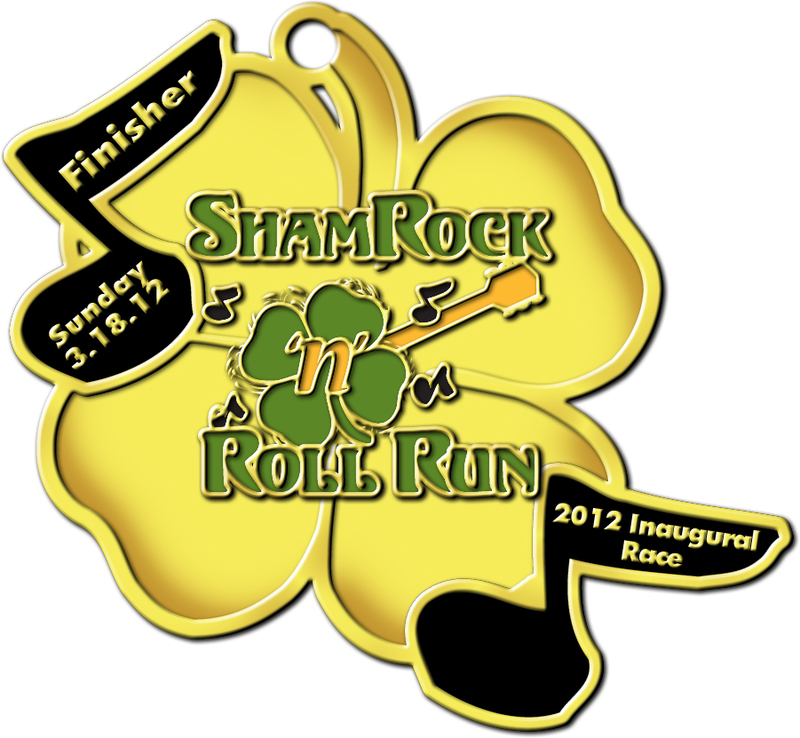 Go to www.shamrocknrollrun.com for more information and to register for the race. 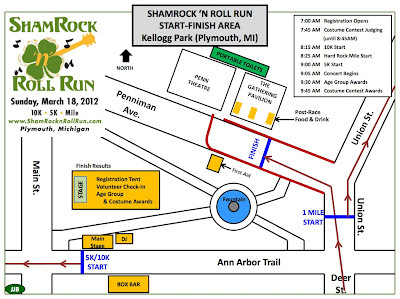 I want to see all you Michigan runners at this race. Hurry so you don't miss out on. Plus, take advantage of lower prices and sign up before 3/17 but I would not wait that long - it's likely to be sold out by then. Just wondering about parking. It looks like area 1 and area 2 will not be blocked in by the race? 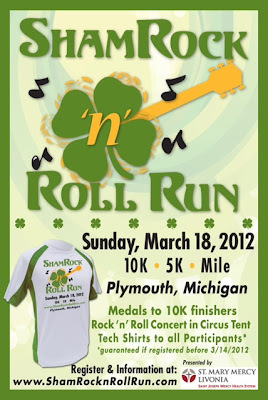 I would have to get going soon after finishing the 10K. 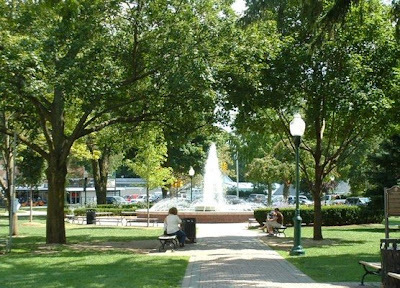 Parking should not be an issue. 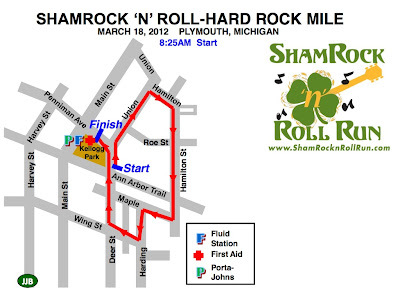 The race director has done races in Plymouth before. Also, I ran a race there for the Wicked Halloween race last October and I parked about 2 blocks away and was able to leave quickly as well and I parked in the middle of the 10k route. There is police support so no worries!